Renting out your home independently whilst on a career break is one way to generate an income and make sure your property is occupied when you are away. This can be a good idea if you planning to be away for only a few months as there are no rental agency fees to pay. But unless you have friends or neighbours nearby who are willing to step in should problems arise - either with the tenants or the property - using a rental agency may be a better, if less affordable, option if you plan to be away for an extended period of time. The best way to find a tenant independently is through word-of-mouth, asking friends and colleagues if they know of someone looking for a rental in your area. This has specific advantages as your tenants will therefore come with a built-in reference. If that fails then advertise, either through a local newspaper, magazine or website, or post signs in your local newsagent's. Make sure you advertise in publications read by the kinds of individuals you would like to have as your tenants, and check all references carefully before signing any agreement. There are many pitfalls to renting out your home independently. While it may at first appear to be the most economical option, if your home is unoccupied for a long period of time you could lose more money in the long run. Without someone to manage your property in your absence it can be difficult to get new tenants, especially if you are abroad. Beauty is not only skin-deep. Your home should look as welcoming as possible when you show it to perspective tenants, so clean and declutter as much as possible. But that's not all. Tidy up peeling wallpaper, make sure all appliances work, put on a lick of fresh paint if needed. And don't forget that a fresh, tidy garden can sometimes help sell a property as much as the inside. Don't sell yourself short. Investigate other rentals in your area to ensure you are getting the right price for your property. Estate agents can also give you valuations, even if you don't plan on using them. Invite a few over to give you their opinion. Check references carefully. Don't just assume a potential tenant is trustworthy simply because they "look nice". Someone who will pay their bills in a timely fashion and take good care of your property is what you are looking for. Insist on a deposit. Some people may find asking for a deposit a bit straightforward and rude, especially when you're doing everything on your own without an intermediary agency to ask for you. But you don't want tenants who believe a simple apology can make up for crayon scribblings all over your walls and ruined carpets. Insist on hard, cold cash - or several months' rent as a deposit. Ask your tenants set up direct debits or payments correctly. This applies not only to rent, but to all bills they will be responsible for, especially if anything will still be in your name. You may event want to collect all utility bill payments in advance. Do a complete inventory. Make sure you list everything in your home carefully, not just furniture but appliances etc. Also note the condition items are in. If you steam-clean your carpets and curtains before you leave, you have the right to insist they are steam-cleaned upon your return. Store valuables and jewellery. Have your tenants share some of the upkeep of your home. This is especially important if you have a garden. Provide necessary garden equipment such as a lawn mower etc and decide beforehand on what they upkeep they will be responsible for in your absence. 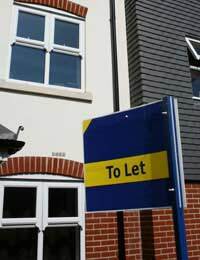 Renting out your home independently whilst on a career break can give you the peace of mind you need before you go. In many cases, it can be the most straightforward - and the cheapest - option. But for things to run smoothly, first impressions aren't the only things that count. Insist on references and deposits, and do a complete inventory before you go.